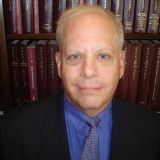 Andrew Lavoott Bluestone is a New York legal malpractice lawyer. Attorney Bluestone focuses on representing persons who have been harmed because their former attorney committed legal malpractice by failing to meet the required standard of care. Attorney Bluestone is located in New York City, and serves clients throughout the state of New York.